To make filing a claim as easy as possible, we've given you the control to begin this process at your convenience. You can file a claim 24/7 by filling out the claim form for your paticular product be it a smartphone, Desktop or any item that you have covered with CWSC® and the clicking on the submit button at the bottom of the form or if you need help you can call our 24/7 Customer Service line that will be more than happy to take care of this over the phone for you. If you are putting a claim in on a computer call our 24/7 Support Line at 1-877-614-7181 option 1 and they will go over the problem you are having with your computer and if unable to fix it over the phone or via remote they will put in a claim form for you to get an onsite technician to come to you to fix the problem. We have certified authorized national repair centers that handle your repairs and evaluations, if you have one close to you, then you can walk-in and get same day repair service just by giving them your CWSC® Service Plan number, (on some items there will be a small deductible) if you are not within a reasonable distance for walk-in repair then your item can be shipped directly to them overnight at our cost both ways. If you have a computer then one of our certified technicians will come to you to take care of the problem, Mobilephones, Tablets and Gadgets are not repaired onsite do to their complexity. Most CWSC® Service Plans do not require a deductible for service. However, if your covered product is a mobile phone, Tablet or Gadget a deductible may apply to some or all claims you file. Question:Who Proforms your onsite repairs. When a claim is approved for an item that qualifies for in-home repair, we refer the claim to our field service department that contacts one of our Nationwide or International third-party technician networks, we then locate and assign a qualified technician to contact you and set up the repair appointment around your schedule not as the phone or cable companies do from 8:00am to Noon or from 12:00pm to 5:00. You set the tech time according to your schedule no waiting around all day for them to show up. 3-Day Service Guarantee: If you are not receiveing onsite or same day walk-in service because of distances or remote locations involved (which does happen) then CWSC® will have your item over nighted to our closest depot repair facility to have it repaired or in some cases replaced and send back to you with a 3 day turn around time unless there is a problem getting a required part that may take longer. f you item is scheduled for an onsite repair the parts required will be FedExed to your location overnight for early morning delivery usually by 10:30am. If it is walk in or depot repair our service centers maintain an inventory or parts to repair almost any item in the way of Smartphone, Tablets, or Gadgets so it is unusual that they would not have a part on the shelves to fix yur item but it could happen and that would usually ad some extra time (possibly a day) on to the repair cycle. Question:What if my item breaks before my coverage begins. Your Service Plan does not cover pre-existing conditions or items received in damaged condition. Any issues that occur during your coverage Waiting Period are assumed to be pre-existing conditions no different then car insurance. We don't have any particular requirement for replacement parts, other than that they fully meet the original manufacturer's specifications for functionality. That is, the replacement parts must make the unit function the same way it was when you purchased it. If we are unable to find the exact part we will replace it with a part of equal or higher functionality. 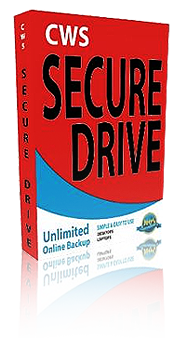 For example if you have a 160GB Haard Drive that goes out and we are unable to find one then we will replace it with a higher GB drive that has the same configuration such as ATA, SATA or Solid State. The replacement part will fall under your current Service Plan wit us and will be covered for the duration of your plan period. Our CWSC® Service Plans do not cover issues resulting from improper modifications to an item under warranty. Typically, an improper modification is anything done to the product that isn't suggested by the manufacturer in the owner's manual. In some instances our tech center will allow one to make minor repairs on their item for the sake of expedency if the consumer is knowledgable about their item and in cases such as this it will not void their Servie Plan. A notation will be made in their Service Plan record on this that it was approved. We cover all IT & Digital Equipment. Such as Computers, Tablets, Smartphones, eReaders, MP3 Players, all types of Gadgets like GPS Units, Cameras and just about everything that you use to communicate with in todays world, as well as all Apple Products. CWSC® Service Plans cover everything from malfunctions and failures that occur during normal product use to Accidental Damage, Electrical, Water immersion, Theft, Unlimited Backup & Storge, 24/7 Support Services, Remote repairs, Anti virus and more. Items and issues we do not cover include are anything that is not IT or Digital related like home appliances, lawn mowers and things along that nature. Question:Do I have to register my Service Plan. Yes, in order to "register" your Service Plan with CWSC®, all you have to do is go to the llink below the product description that says Registration Form and fill it out and then click on the submit button at the bottom of the page and it will automatically come into us. You will receive an auto responder to your email address stating that we received your registration and what the next steps from us are. Most CWSC® Service Plans do not require a deductible for service. However, if your covered product is a mobile phone, Tablet or Gadget a small deductible may apply to some or all claims you file but this is only on the Accidental Damage Coverage, there is no deductible for functional failures on any product we cover. Question:Do you offer coverage on things like spills, drops, electrical problems or broken or cracked housings. Accidental Damage from Handling (ADH) coverage is available for certain items and on our premium Service plans. This coverage is in addition to our base coverage against item failures, and protects your unit against drops, spills, and other accidents that occur during normal usage. CWSC® offers Service Plans for new, refurbished, and used items. New and refurbished items are eligible when purchased from any retail store, online retailer, or eBay. Used items can be covered if they are in good working condition and less than 5 years old. CWSC® specializes in being a premier service provider, we do not sell IT, Digital or electronic items, but we do have our suppliers that provide us with any necessary product that might require replacement that we cover in our service plans and those can include computers, Tablets, smartphones, gadgets and all Apple Products, so yes we do depending on the coverage obtained from CWSC® and this will be spelled out in the Service Plan if it has replacement coverage or not. If your item is new and has a US manufacturer's warranty of at least 90 days, your coverage begins the day you purchased the item and lasts for the number of years of coverage we specify at purchase time, Accidental Damage, Theft or Replacement usually starts 15 days after you purchase the Service Plan covering those areas and 15 days are added to the Service Plans expiration date. The reason for this is so we do not sell Service Plans for accidental damage or theft after it has already happened as that equates to fraud on the consumers end. The CWSC® Service Plans have some unique features that other extended warranties don't have such as product replacement, onsite and walk-in repair services as well as 24/7 Product Support Desk and 24/7 Customer Service. We are also able to keep our pricing low do to the fact that we control what we sell and ad additional value by packaging products that consumers want and need into our plans which equals volume that keeps costs low for you the consumer. No, Batteries, including rechargeable batteries that may be included with an item, are typically consumable items which are intended to be replaced by the user of the item when they wear out. If the product is new the battery usually comes with a manufacturers warranty that covers it any where from 90 days to one year. Yes, but your main proof of purchase we already have and just need to varify that it is you and your Service Plan number and item serial number in most cases. Most other companies in order to file a claim for your item require a copy of your item’s purchase receipt (showing the purchase date and price) and to us this is old an antiquated in todays business society. Question:Where can I view a copy of the service plan terms and conditions? The first place to find this is in the service plan agreement we emailed you, it will have all the information you need to conduct business and claims with CWSC®. If you have lost or misplaced this document call or email us and we will send you another copy for your records. We also have sample service plan terms and conditions on our web site for viewing. For questions about the CWSC® Service Plans or program, please contact CWSC Customer Services by email at cs@computerwarrantyservices.com or by phone at 1-877-614-7181 ext. 711 we will be pleased to assist you. Yes, we accept monthly payments for our service plans, we also have a one-time payment for the full term of coverage, your choice. The Monthly ACH payments you receive the same coverage as if you paid for it in full. Once you start the monthly payment plan you can still cancel at any time. However, if you have received repair services from CWSC and then cancel you would not be eligible to use our monthly payment plan for future service plans and the rebate would be set accordingly. The monthly amounts you may see on our website are for those that would like to take advantage of being able to get additional coverage for other items or higher coverage's like Accidental Damage, Theft, etc. without having to layout a large amount of dollars initially and still have full coverage for one or all of your items during the service plan term you can even include family's with this. We are one of the only ones that offer this option as we are truly concerned that our customers can get their best deal when shopping for service plans on their equipment, this is especially good for students that want to make sure that if they have a problem they are covered without having to layout much additional monies while getting through their 4 years of school. ACH monthly payments work just like getting any of our service plans with the full payment option only we bill you on a monthly basis for the coverage(s) you select. The monthly payments only go for the length of the term of service such as one, two, three or four years, your choice. No, the monthly payments have between $.050 and $1.00 added monthly per item covered which covers the processing fee and backend paperwork it is not to increase the cost of the plan(s) with hidden charges like many companies do. In other words the cost of the plan(s) in monthly payments plus an additional $6.00 or $12.00 per year in extra charges to cover the stated mentioned. You can use a credit card, check card, debit card or checking account for ACH Monthly payments. In some instances there is an ACH for to sign or your order processing and acceptance will be counted as acceptance of the ACH terms and conditions. Terms and conditions are set by the entity collecting the funds be it a bank or processing center which follows banking rules, there is no hanky panky in this process, what you see is what you pay with no hidden charges, ever! and it does not run longer then the time frame agreed upon which is stated in the Service Plan(s) you receive from CWSC. Simply email: cancellations@computerwarrantyservices.com or call CWSC® customer service at 1-877-614-7181 ext. 711 and give them you plan number and item serial number and tell them you want to cancel your plan for that item, this is required for each item you choose to cancel. You will be emailed a conformation back to the email address provided when you applied for the service plan asking if you chose to cancel you plan, simply click on the confirmation link and your plan will be cancelled. We’ll provide you a full refund if you cancel within 30 days and have had no claims. If you cancel after 30 days and have had no claims we’ll pro-rate your refund based on how much time has passed since your Service Plan purchase. We'll provide your refund based on the cost of the service plan minus any cost of services including how much time has passed since your service plan purchase used up to that point. Question:I am receiving a refund but no longer have the same credit card, checking account, debit card, etc that I used when applying what happens? As is common with most businesses that accept credit cards, we can only process a refund to the same payment method used to make the original purchase. This is a policy of the credit card networks (Visa, MasterCard, American Express, and Discover). If we are unable to refund to those entities then we would send you a CWSC® refund check to the address we have on file for you. Simply send us a copy of your drivers license with your new address or a signed notarized statement stating your new address and showing you are the same person that bought the service plan and CWSC® will send a check out to you for the amount to be rebated. Just like automobile, homeowners, renters, or medical insurance are in their respective area of your life; CWSC® Service Plans are the very best protection you can have against unexpected expenses to repair your computers, smartphones, and other digital devices. However, we understand that not everyone will decide to purchase a CWSC® Service Plan; or because of the age of your device the cost of a service plan may become economically questionable. CWSC® has designed the CWSC® Price Protection Plan to address these and other financial concerns of our customers. Today, arguably more than any time in U.S. history, you have consistent increasing financial demands from every area of your daily lifestyle budget; making unexpected repair expenses even more difficult to handle. This situation is made even worse because both parts and labor repair costs are rising, with the many other expenses of your budget. The CWSC® Price Protection and Discount Plans are designed to provide the most critical proactive protection services for your devices and all your data; and cost control protections, so though repair costs will probably continue to rise, you will always receive service at a discounted price. We have even taken this one step further and include other products and services at 20% to 60% savings. Computer Warranty Services Corporation is your Technology Partner! Go Here Now to See All the Details of the CWSC® Price Protection and Discount Plans! Question:Have A Question or Comment for us? Click on the links below the FAQ section to get the information you are looking for. If you are still having challenges in finding your answer or information you require email or call us at: support@computerwarrantyservices.com or CWSC® Customer Service at: 1-877-614-7181 ext. 711 Have A Question or Comment for us? Click Here to submit your question or comment and we will get back with you with very shortly the answer. Question:What geographical areas can I purchase a CWSC® service plan in. CWSC® Service Plans are available to residents of the U.S., Puerto Rico, Canada, New Zealand, Australia, the United Kingdom, Isreal and most english speaking countries at present although subject to certain restrictions or laws based on that countries warranty or insurance laws. You can buy a CWSC® Service Plan on a new, reconditioned or an item that the service plan or warranty has expired. The item cannot be more than 4 years old from original purchase date and must be in good working order. If you have an item the is past 4 years old then you should look at our CWSC® Club Program that can cover you on your items while providing you major discounts on all coverages you will require. Visit our link on the left under "CWSC Club Program" for additional information. Question:Where are CWSC® Service Plans available to purchase. You can purchase one of our Service Plans on our web site or from many CWSC® dealers nationwide or internationally, see our list on the left hand link bar titled "CWSC Sales & Repair Listings"
CWSC® offers coverage for consumer electronics items that fit into the IT & Digital. Some examples of eligible items include: Computers, Smartphones, Tablets, eReaders, MP3 Players and many types of Gadgets. CWSC® is well known for it's Business to Business, Educational, Government, Non Profits & Corporate coverages as well that includes Servers, Routers, Switches and much more. Yes. This allows our repair facilities and support center to know the configuration of your equipment so they can speak intelligently to you on any question you have on your product as well as knowing what is required when it comes to fixing the item. Question:How long does this take to learn how to backup & download to a Smartphone or Tablet? It can all be learned in a matter of minutes. Question:Is there support that comes with this? if so what type? 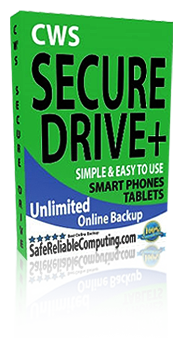 Question:If I buy the backup for my Smartphone can I also use it on my Tablet? Yes, you can use your account # for both your tablet, smartphone & Netbook. Question:If I buy the backup for my Desktop can I also use it on my Laptop? Yes, you can use your account # for both your Desktop & Laptop. Question:Can I use my Desktop or Laptop account for my smartphone & tablet? No, the reason being is the technology is different when using wireless. Question:Does Carbonite or Mozy have backup for Smartphones or Tablets. Question:Can I purchase a three year plan, I only see one & two years available. No, we normally only offer 1 year on introductory offers but decided on two years for this one. Question:So why not three years? Our pricing is extremely low for this special but choose to give our existing & new clients a super deal by offering 2 years instead of our standard 1 year roll out with this great pricing structure. Question:How do I recover my data if my hard drive goes bad? Once you have replaced or repaired your hard drive or use one on another computer go to your personal URL that was assigned to you which ought be (something .www.cwssecuredriveportal.net) then login using your email address and password you had chosen if you forgot your password then click on forgot password and an email from our servers will be sent to you email of record for vitrifaction, verify and then change or update your password and then go to yor main entry URL page and login then down load the software again to the replaced hard drive. Once this is done you are ready to re store, backup or download your data. Call our 24/7 help line at 1-877-614-7181 Option 1 and one of our support techs will be able to give it to you after they verify you. We do not have access or retain your passwords so that if forgotten will have to be re set through your dashboard located at your URL site.